Talks with Tynee: Tynee Talks: Am I FICTIONAL THOT? Am I a Fictional Thot? Over the last year or so there has been an abundance of fine male characters gracing the nation’s television screens and I have had impure thoughts about 90% of them. This led me to believe that I am a Fictional Thot. My best friend brought the diagnosis to my attention, as of recent, when I was telling her how fine Wes from How to Get Away with Murder is, and how I wanted to make out with him in Professor Keating’s home office. She pointed out to me that I said something similar about Noah, from Underground, Darius from Atlanta, Ralph Angel from Queen Sugar, Remy from House of Cards, Ricky Jerrett from Ballers, and the list goes on and on. It then hit me, like Chris Brown hit Rihanna in 2009. 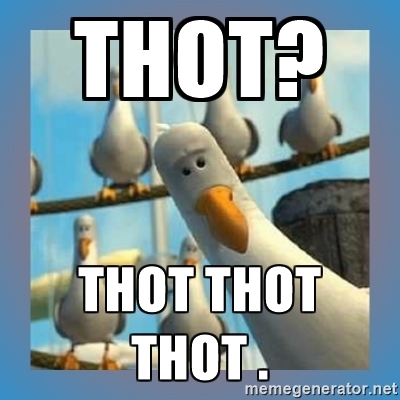 I realized that I have been a Fictional Thot since my childhood. At age 4, I declared Ricky from New Edition as my first boyfriend, because he was cute, or so I thought. My childhood eyes had deceived me. After watching the New Edition Story on BET, I Googled his old images and proceeded to have a self-talk with myself. Ricky was the first, but her surely wouldn’t be my last fictional boo! The now defunct boy group The Boys, were my boyfriends’, just because they said they would Dial my heart! Q, from Juice was my boyfriend, because he had, what I learned in later years to be SWAG. Dwayne Wayne and was my boyfriend solely because he was goofy and had cool glasses. Bud from the Cosby Show was my boyfriend because he liked Rudy, and I thought I was Rudy. Come to think of it, it didn’t take much for me to make you my boyfriend. Wtf, was wrong with me? Anyway, I’ve come to the conclusion that as long as I’m not acting on these impulses in real life; I can continue to conjure up naughty fantasies in my mind. I can have as many television and movie boyfriends as my mind can hold!